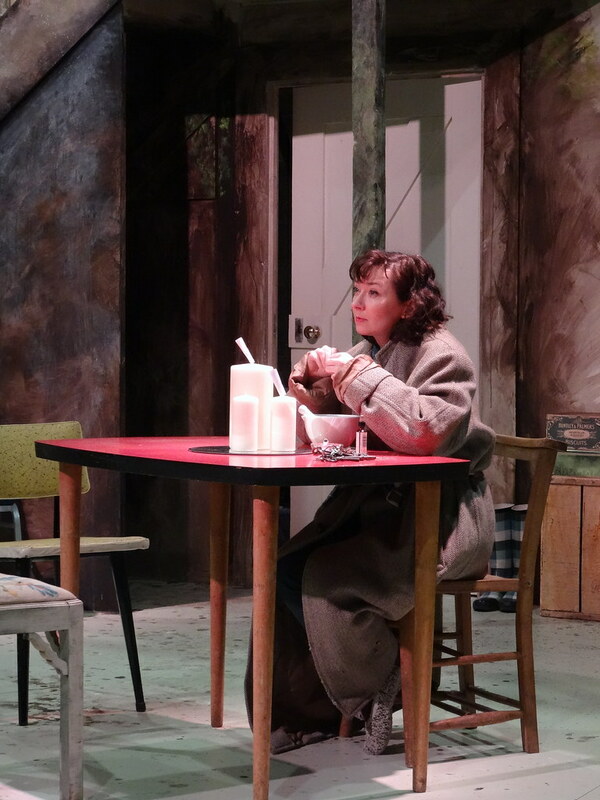 World premiere of new play by Rebecca Sharp, directed by Muriel Romanes. A journey of friendship, digging and reconciliation transcending time and space. Isobel is summoned to a cottage in Argyll, which she inherits following the sudden death of her childhood friend, Yvonne. While sorting through Yvonne’s collection of books, objects and writings, she discovers her interest in Scottish writer and archaeologist Marion Campbell, and her novel The Dark Twin. Guided by Yvonne and Marion, Isobel journeys through memories, signs and stories to reach the truth Yvonne discovered before she died. This new play by Rebecca Sharp layers reality and fantasy through immersive writing, design, lighting and original music. 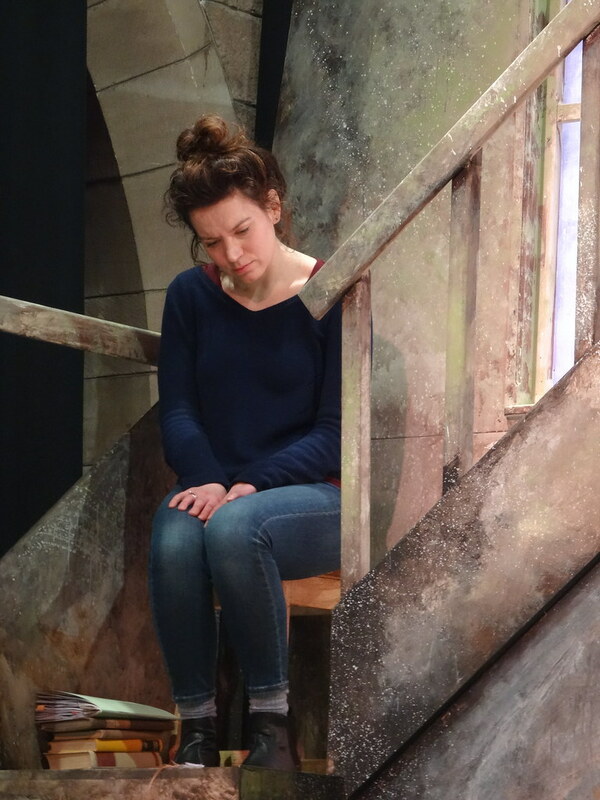 The Air That Carries the Weight was presented at a Rehearsal Room in 2014 at the Traverse Theatre along with Rebecca Sharp’s companion piece Little Forks. The Play received it’s World Premiere in March 2016 at the Traverse, Edinburgh. Find out more about the work of Rebecca Sharp. Supported by the Tom McGrath Trust. So we’d work away… digging, sifting, dusting, recording.. without knowing or needing to then, which dreamers’ sleep we might be part of yet. That each one of us is awake in another’s dream. Rebecca has written professionally for nearly fifteen years – her work spans theatre/performance, poetry and prose. She studied Theatre at Glasgow University (2001). Her early plays Last Child (2001) and Danger: Hollow Sidewalk (2006) were produced at The Arches theatre. She has been Artist-in-Residence with Metal Liverpool, Lanternhouse (Cumbria) and the Bothy Project. Recent work includes The Ballad of Juniper Davy and Sonny Lumiere (poetry performance), Little Forks (live literature), For the Bees (text and music, with Mr McFall’s Chamber), Rules of the Moon (performance with sound artist Philip Jeck), The Unmaking of Mary Somerville (play, Stellar Quines Untaught to Shine 2014 and Scottish National Portrait Gallery) and The Wakeful Chamber (A Play A Pie And A Pint and Aberdeen Performing Arts). She is currently developing new work with StAnza poetry festival. Rebecca was included in the Saltire Society’s 2014 list of Outstanding Women of Scotland, for contributions to Scottish culture. 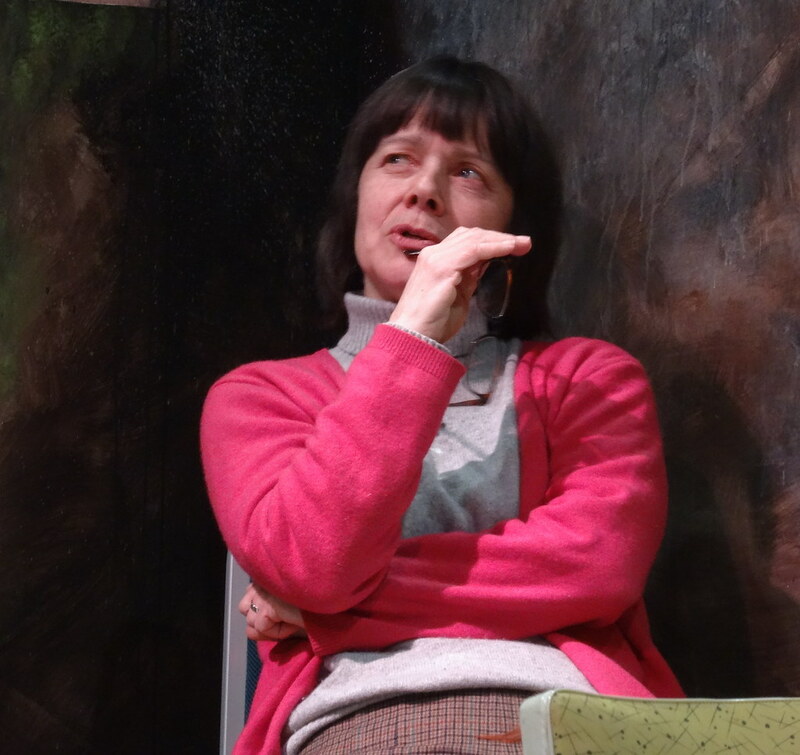 Muriel Romanes co-founded Stellar Quines twenty-two years ago and has been Artistic Director since 1996 and has directed many acclaimed productions for the Company. In 2007 she directed the award-winning production The Unconquered by Torben Betts, and in 2011 she won Best Director at the Critics Awards for Theatre in Scotland for Age of Arousal, a co-production with the Royal Lyceum Theatre Company. In 2012 she directed The List, the first of the trilogy by Jennifer Tremblay, translated by Shelley Tepperman. Starring Maureen Beattie, it won a Scotsman Fringe First, Herald Angel Award and Best Production Critics Awards for Theatre in Scotland. The subsequent productions from the trilogy of The Carousel and The Deliverance won Scotsman Fringe Firsts in 2014 and 2015. 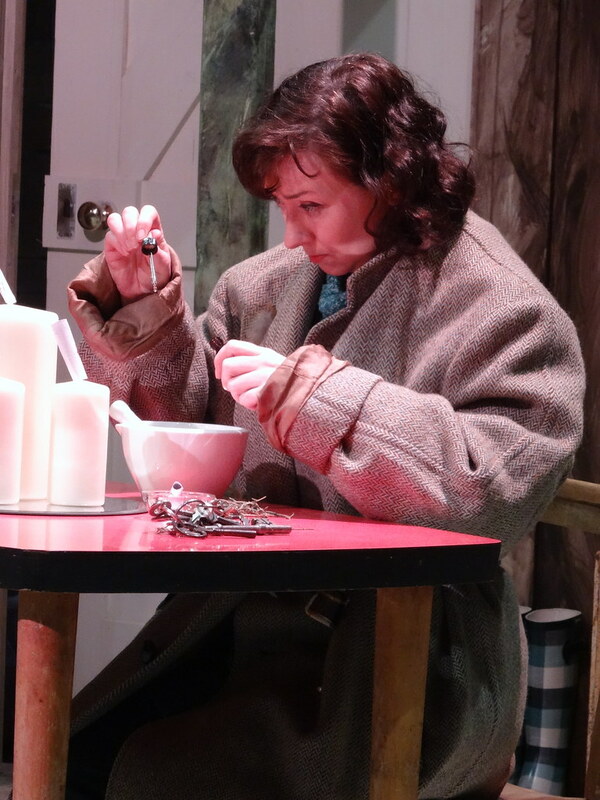 The Jennifer Tremblay Trilogy received great critical acclaim at Edinburgh Festival Fringe 2015 and was part of the Made in Scotland Showcase 2015. It was the first trilogy of plays to have won Scotsman Fringe First awards on separate occasions. 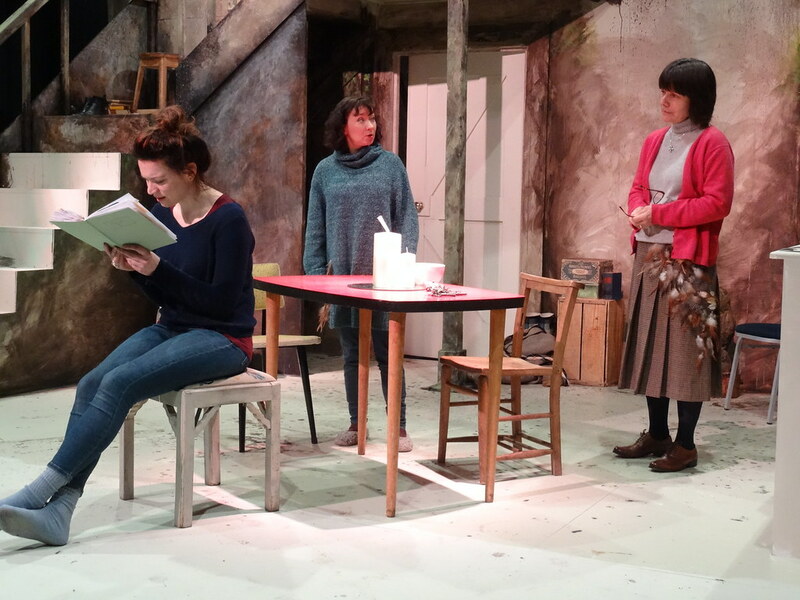 Muriel Romanes has just directed a Borders tour of Threads by Sylvia Dow and lead the Rehearsal Room 26 at Traverse Theatre, which featured new work in progress by Molly Innes, Lynda Radley and Pauline Lockhart. Muriel Romanes has encouraged and championed the work of women in theatre for over twenty years and many of them are now well known writers, directors and actors. She has also built a strong relationship with the work of Canadian and Quebecois writers and directors such as Michel Tremblay, Jennifer Tremblay, Linda Griffiths and Serge Denoncourt. 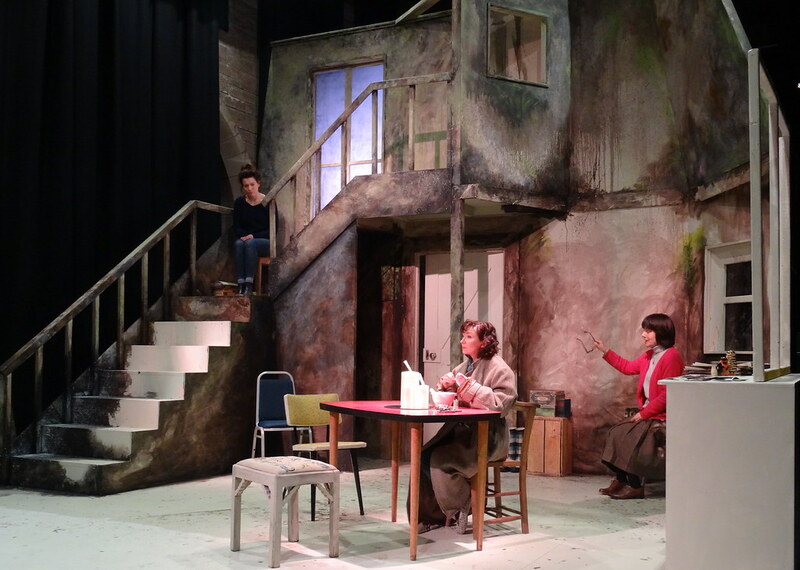 She has also directed adaptations of works by Muriel Spark including The Prime of Miss Jean Brodie (Royal Lyceum Theatre) and Girls of Slender Means (Edinburgh Fringe Festival). John Byrne was born in Paisley and grew up in Ferguslie Park housing scheme – at the time pretty much the worst slum in Europe. He quit school in his fifth year and, having failed to secure a job painting cinema posters with Mr Brown, Paisley’s only commercial artist, started work as a ‘slab boy’ mixing powder colour for the designers at A F Stoddard, carpet manufacturers in nearby Elderslie. Byrne was accepted at the Glasgow School of Art – specialising in drawing and painting. In his final year at GSA he won the Bellahousten Award, the school’s most prestigious painting prize. From the early seventies John Byrne’s biography reflects his diverse talents, as a designer of theatre sets and record covers. His first play Writer’s Cramp(1977) was followed by The Slab Boys (1978) and won him the Evening Standard’s most promising playwright award. In 1986 John wrote the immensely successful, six-time BAFTA award-winning television series Tutti Frutti. This was followed by Your Cheatin’ Heart and countless other plays and films. John has designed record covers for Donovan, The Beatles, Gerry Rafferty and Billy Connolly. His work is held in major collections in Scotland and abroad. Several of his paintings hang in The Scottish National Portrait Gallery, the Museum of Modern Art and the Kelvingrove Art Gallery and Museum in Glasgow. 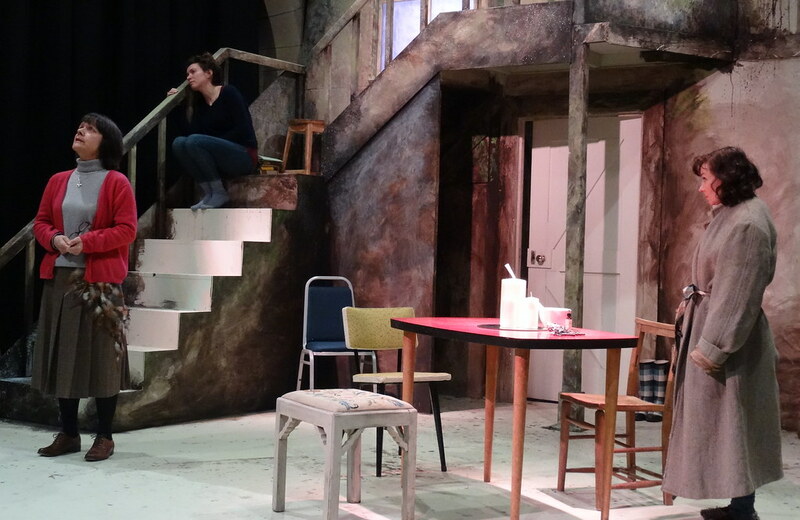 John has also designed the sets for many theatre productions including most recently The Deliverance, The Carousel and The List for Stellar Quines, The Slab Boys (Citizens Theatre), The Three Sisters (Tron Theatre), Uncle Varick and The Cherry Orchard (Royal Lyceum Theatre). As a composer, Pippa has been involved in performances, recordings and installations in the UK and abroad. She has written music for BBC 2, BBC Radio 4, BBC Radio 3, Scottish Opera, Edinburgh’s Hogmanay in St Giles Cathedral, Huddersfield Contemporary Music Festival, St Magnus International Festival, Aberdeen Art Gallery, Salford Art Gallery, Sound and Music, COMA, and numerous contemporary theatre companies including Dundee Rep, Birmingham Rep, Tron Theatre, Eden Court, Nutshell Theatre Company, Citizens Theatre, Glasgow, Traverse Theatre, Edinburgh, 7:84, Dogstar, Fire Exit and Janis Claxton Dance. Pippa completed her BMus, MA and PhD in composition at Birmingham University. She was Vice-Chair of Sonic Arts Network (now Sound and Music) for 5 years and has written for Whitakers Almanac, Sunday Times and The Scotsman. She is on the board of ‘New Music Scotland’ and is currently Artist in Residence at the Scottish Parliament. She recently composed a new work, Anamchara for Scottish Opera with writer Alexander McCall Smith performed by over 100 performers as part of the Commonwealth Games at the Theatre Royal, Glasgow. As an actress, Pauline has worked with some of the UK’s leading theatre companies including Manchester Royal Exchange, Hampstead Theatre, West Yorkshire Playhouse, Improbable Theatre, National Theatre Scotland, Suspect Culture, Royal Lyceum Edinburgh, The Tron Theatre, Communicado Theatre Co, Grid Iron, Thickskin Theatre Co and The Traverse Theatre. 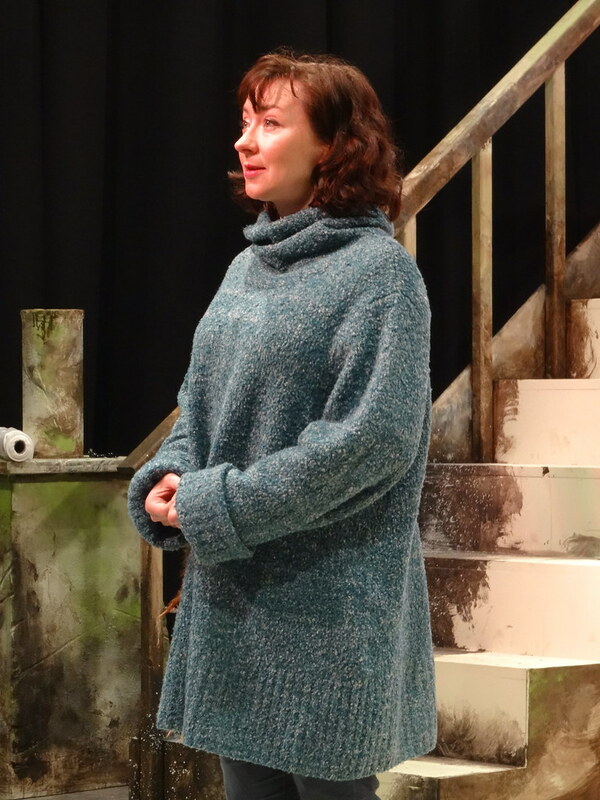 For Stellar Quines she has appeared in Sweet Fanny Adams in Eden and was part of Untaught to Shine at the National Portrait Gallery of Scotland in 2014, and presented a work in progress at Rehearsal Room 26 at the Traverse Theatre 2015. Her TV appearances include Case Histories, How Not To Live Your Life, Casualty, Monarch Of The Glen, Holby City (BBC), The Glass, Heartless (ITV). Her film appearances include Strictly Sinatra and Gladiatress and she has featured in various plays for BBC Radio Scotland, Radio 3 and 4. 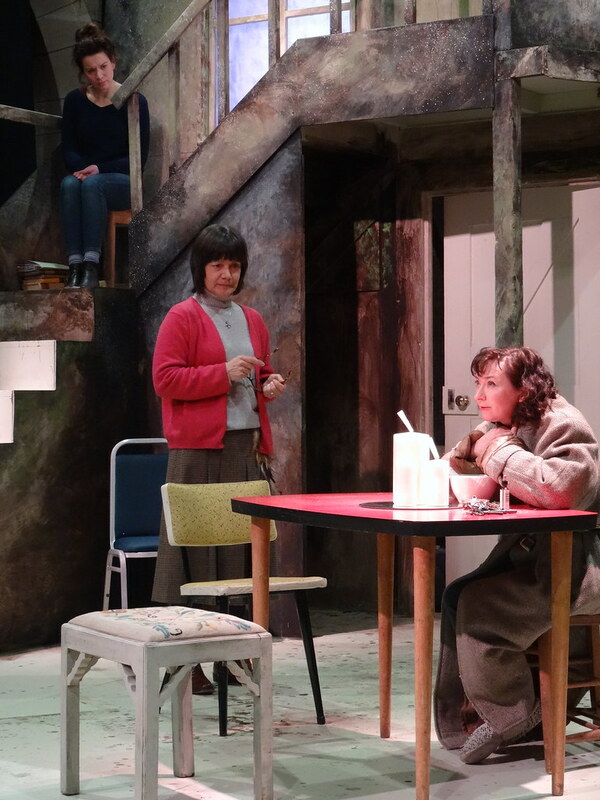 Pauline’s awards include Best Supporting Actress – TMA Awards – and Best Supporting Actress – Manchester Evening News Awards – for An Experiment with an Airpump at Manchester’s Royal Exchange. As a painter, Pauline has had two exhibitions of her portraits of Scottish Actors, Writers and Directors. Training: Royal Conservatoire of Scotland, Glasgow. Theatre: Farinelli and the King (Globe and West End), Light Boxes (Gridiron), In Lambeth (Southwark Playhouse), Much Ado About Nothing (Old Vic), The Strange Undoing of Prudencia Hart (National Theatre of Scotland) The Importance of Being Earnest (Lyric Belfast and Lyceum), Of Mice and Men (Lyceum), 2401 Objects (Analogue), Room, One Night Stand, One Thousand Paper Cranes (Tron), The Girls of Slender Means (Stellar Quines). Film: Re-enactors (Roseline Entertainment), A Stately Suicide (Flyboy), Venus and the Sun (Ruby). Radio includes: McLevy, Sovereign, The Antiquary, Tender is the Night, Vincent in Brixton, Lanark, The Grapes of Wrath, The Great Gatsby, The Call of the Wild, The Voysey Inheritance, A Case for Paul Temple, The Vanishing, Of Mice and Men, La Princesse De Cleves and many short stories for BBC Radio 4. Audio books include: Desperate Remedies, A Little in Love, Ann Veronica, Amy Snow, The Earth is Singing, The Ship, The Looking Glass House, Completely Cassidy and Ballet Stars. Melody is also a singer and performs with musician MJ McCarthy and with her family’s band The Groves. Alexandra Mathie has been associated with Stellar Quines for many years and her work with the Company includes Age of Arousal, The Unconquered, Memory of Water, Sweet Fanny Adams in Eden and Wit. She has also worked in productions at the Royal Lyceum Theatre Company, Edinburgh – The Importance of Being Earnest, Romeo & Juliet and The Prime of Miss Jean Brodie. Alexandra has also frequently appeared on stage at the Royal Exchange, Manchester and The Stephen Joseph Theatre, Scarborough and has played many theatres across the UK. She is a co-founder of Heroica Theatre Company.